5 Angle Construction Inc. is a full service contractor that has been in business since 1990 specializing in a variety of trades and services for both commercial and residential construction. We welcome projects ranging in size and scope including both new construction and remodeling. 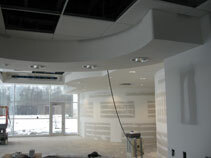 In choosing 5 Angle Construction, the project is streamlined by eliminating the need for various subcontractors. We are proudly locally owned and managed in Columbus Grove, Ohio. You will find our staff to be knowledgeable, skilled and most importantly professional. 5 Angle Construction Inc. is a certified drug free work place; currently featuring a team of 45 employees. 5 Angle Construction Inc. is committed to safety, with a dedicated safety coordinator Gordon Graham. Our staff utilizes the most recent Material Safety Data Sheets (MSDS) as well as having certification and training in scaffold erection and both forklift and scissor lift operation. 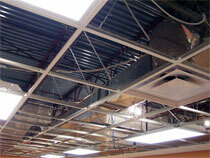 We also utilize the latest in construction technology and equipment. All Employees have completed the OSHA 10-hour safety certification class. Our Foremen have also completed the OSHA 30-hour safety certification classes. We pride ourselves on the quality of our work as well as the friendly professional manner in which it is conducted. We invite you to contact us to discuss your next project! 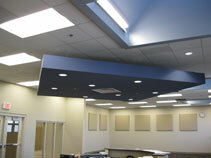 Fire & sound rated assemblies. Complete hanging and finishing needs. Wall systems can be included. Aluminum grid for "wet areas." Site Designed & Hosted by BOONDOX MEDIA LTD.